Highly regenerative serum that helps revive skin at the cellular level by reinforcing free-radical defense and guaranteeing the integrity of skin’s cells. Genuine treasure of antioxidants, deeply penetrating Blueberry seed oil helps to repair deeper skin layers, thus encouraging the apparition of perfect and healthy skin. In aromatherapy, Jasmine is known to help bring back confidence and combat anxiety. To use: In the palm of your hand, supercharge your daily moisturizer by mixing in 2-3 drops of Bl+J. Or apply alone for a more intensive treatment. 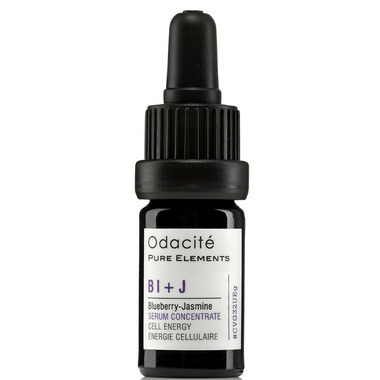 The Odacite serums are wonderful! I do see results but with time which is realistic. Iâ€™ve tried other brands but I always come back to Odacite.